The former England international has dropped down the pecking order with the Blues since the arrival of Maurizio Sarri at the helm and he has been restricted to just one league appearance. Due to this, he has been constantly tipped to make way from the Blues with his current deal expiring in seven months' time and Sky Sports News reports that the Cottagers could make an approach at the turn of the year. Claudio Ranieri's side are currently rooted to the Premier League drop zone and they are widely expected to pursue an experienced defender despite recruiting three during the previous transfer window. 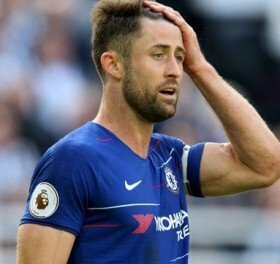 Still, the Cottagers can expect competition for Cahill's signature with West Ham United and Southampton also planning offers of their own for the former Bolton Wanderers man.